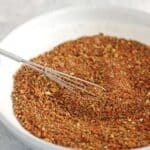 Easy to make, flavourful BBQ Spice Rub! Perfect for ribs, chicken, beef and more! 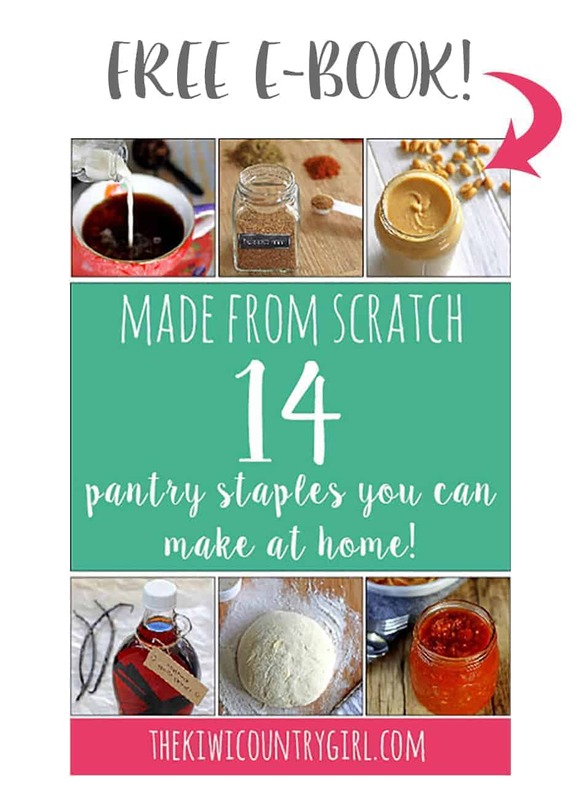 It also makes a great homemade gift for anyone who loves to BBQ! BBQ Spice Rub is not something that was ever really on my radar. Sure in New Zealand we do a lot of barbequing but it’s more of a “throw a steak on the barbie and you’re good to go” kind of situation. Simple, summery and perfect. But then in 2016 we travelled to the Southern USA and came to the realisation that without even knowing, our lives had been totally devoid of real barbeque. In the Southern states we visited – Texas, Louisiana and Tennessee – barbeque is more than just a method of cooking, it’s practically a religion. We ate more spicy, slow cooked, basted and completely delicious meat in 3 weeks than we ever had before. And we were converted. 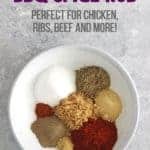 Since then I’ve played around a bit with different spice rubs on meat – usually a big hunk of beef or pork thrown in the slow cooker and they’ve always been pretty good – spices rubbed all over slow cooked meat is never going to go wrong! But I still felt like I hadn’t quite got the hang of Southern BBQ…and then Josh requested ribs. Sure I said, let’s make ribs! So I googled a recipe, made the spice rub, followed the method for cooking them and they weren’t bad. But they were still missing that undeniable Southern style flavour. I wasn’t satisfied, so I kept trying, and FINALLY almost 2 years after we first ate real barbeque I discovered the perfect combination of flavours in my homemade BBQ spice rub. 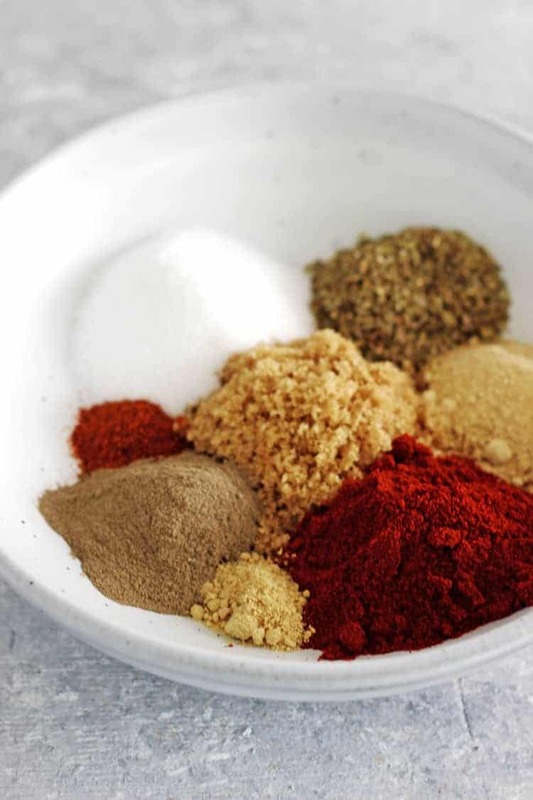 What spices are in a BBQ spice rub? And seriously, it’s amazing. 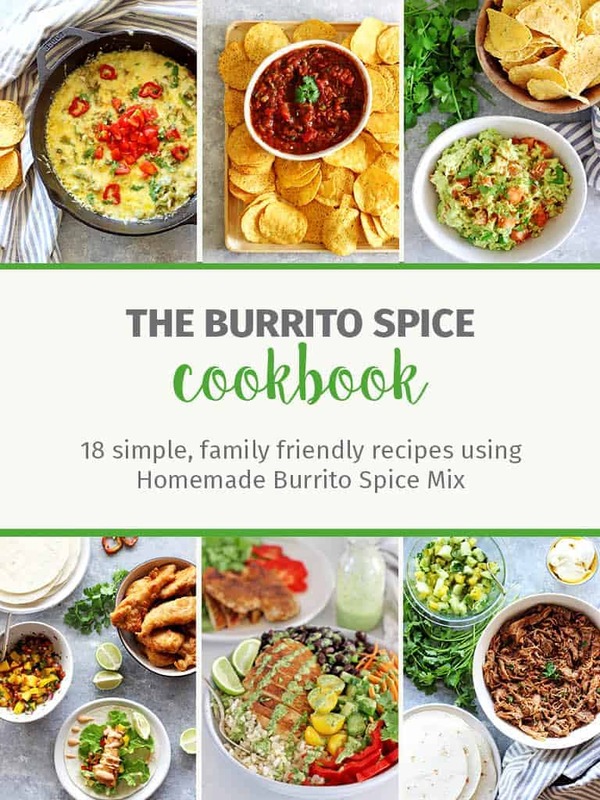 The coolest thing about spice mixes like this one (and my Burrito Spice Mix) is that it’s a great starting point and then you can tweak it to your taste. If it’s too sweet, add less sugar – not spicy enough, ramp up the cayenne! Simple. I recommend making it as the recipe suggests to start with and then changing it up next time if you want! 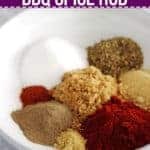 How do you make the BBQ spice rub? Simple! Add all ingredients to a bowl and whisk together. The recipe below makes enough for a few meals so make it and store in a jar in the pantry, ready to pull out and make BBQ meat whenever you feel the need! 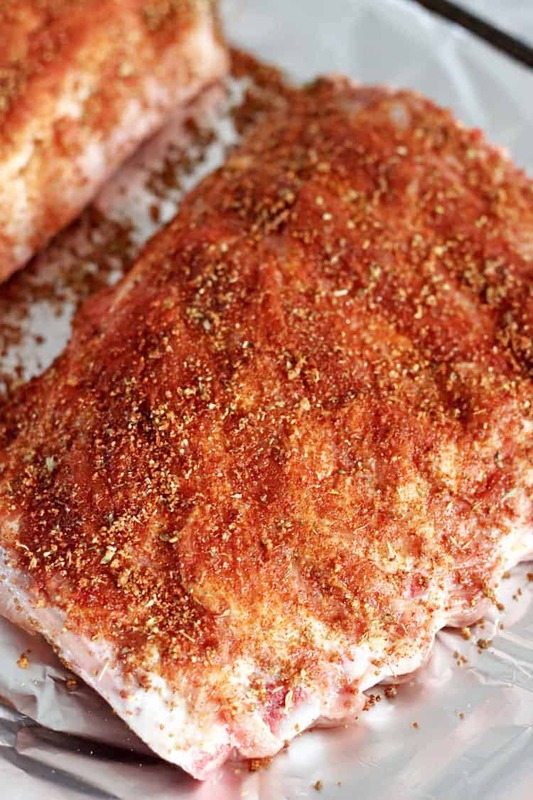 How do you apply the BBQ spice rub to meat? This depends on how much you like touching raw meat! If you are weird about it, just sprinkle it on. If you don’t mind getting in there, sprinkle it over and give it a good rub into the meat, on all sides. This is how I do it as it helps the spice mix really get into the meat. How long should you leave the dry rub on the meat? For as long as it cooks! 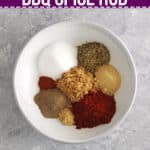 I find that any kind of BBQ meat is best cooked low and slow and this gives the meat time to get nice and tender and the BBQ spice rub time to work its magic and make the meat super flavourful. 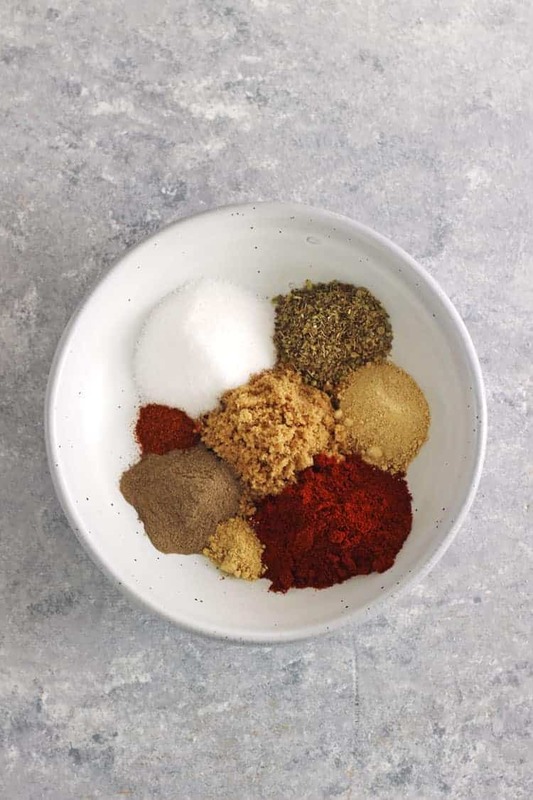 This BBQ Spice Rub is such an awesome blend of flavours and makes dinner time epic. 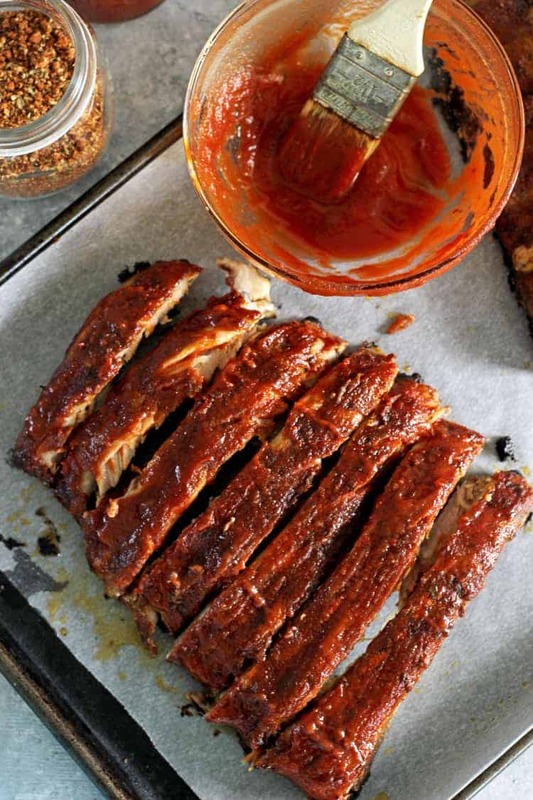 Our favourite thing to do with it is make ribs…recipe coming later in the week! It’s also the perfect homemade gift – make a batch, print one of my labels and put it in a pretty jar! Add all ingredients to a small bowl and mix together well. Use immediately or store in an airtight jar or container and use when needed. As you may know, we are pretty wimpy when it comes to heat, so 1/4 teaspoon of cayenne pepper gives it just enough kick for our liking. 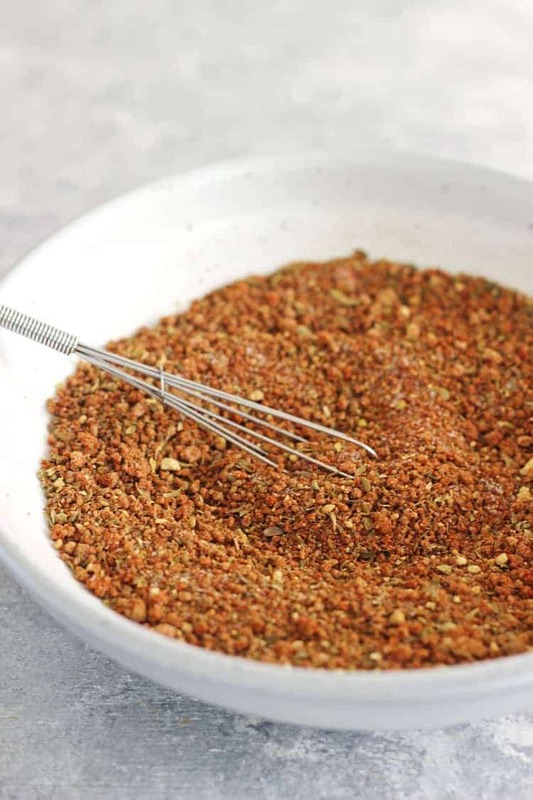 I recommend making it as the recipe suggests to start with and then adding more next time if you want it hotter, but be careful - cayenne packs a huge punch!